Sensitive to criticism that the humanitarian aid movement is sometimes slow to act when disaster strikes, Disaster Aid International has its own Disaster Aid Response Teams. The raison d’être is to get the group’s survival systems to those in most need, quickly safely, via its teams of trained and experienced volunteers. When help is sought or we are alerted to an impending or actual disaster, a DART is rapidly brought together using group selection criteria. The DART, usually small in number and tightly focused, is then deployed to the scene. The DART conducts a recce and gathers intelligence. Many factors are taken into consideration, for example, the social, legal, economic, political, technological aspects of the locale and then more specifically, logistics, warehousing and security. Need assessments, incorporating consideration of water, sanitation and health conditions are conducted. Site assessments are then carried out and distribution plans put in place. All this is done in liaison with other aid agencies wherever possible. The job of moving the survival systems from storage facilities to the front line begins. 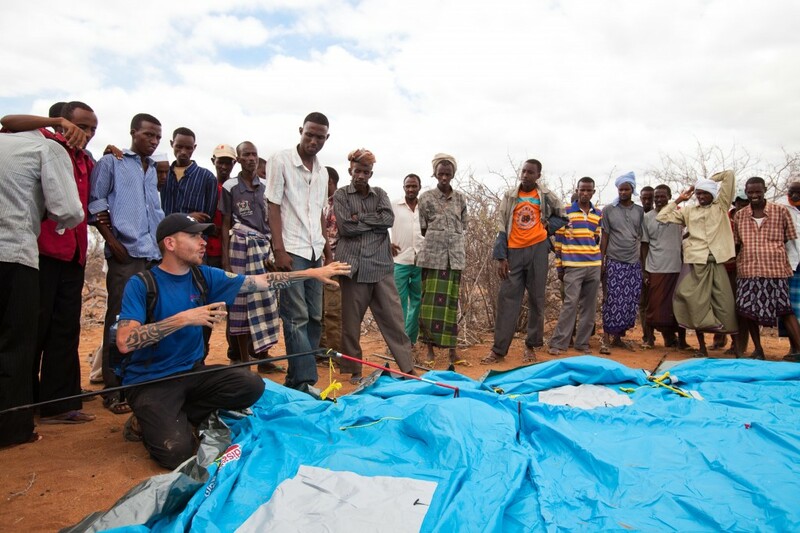 Our international DART undertakes to go the “extra mile” and to do its utmost to overcome all the obstacles in its way to ensure the survival systems are delivered personally to those in most need, soonest, safely. The DART is trained to work effectively under severe emergency conditions. Get further information about how to become a DART.